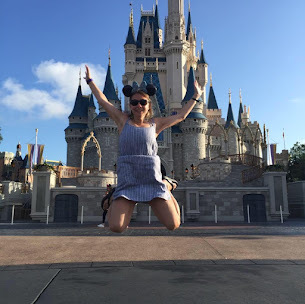 We all love the fairy tales we grew up on, creating a world in which good always wins over evil, where those whose hearts are true and who do the right thing come out on top. But, grown-up competition for success is rough, even cutthroat, and we've often heard that nice guys finish last. The story revolves around Vince Steadfast, the newly named CEO of imaginary manufacturer Verity Glassworks, which has fallen on difficult times. Vince is hired to help the once iconic company return to its glory days, and he brings with him a parting gift from his mentor and former boss: a stunning crystal coffee cup from Verity's halcyon days. The cup turns out to be magic - truly - and helps him come to understand and reinvigorate the values that Verity has misplaced along the way. As Vince and his new team make their way to (and through) many challenges, including the aptly named Worthy Way, Perilous Passage and Arduous Stair, the cup fills with a gold elixir and the universal truths that they learn to embrace - such as Responsibility, Forgiveness and Courage - magically become engraved in the glass. 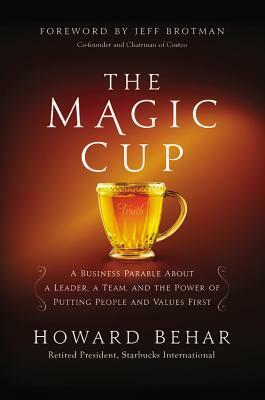 The Magic Cup written by Howard Behar is an interesting read that anyone in business, one who is interested in leadership or is lacking the skills of putting others first, can learn the first-hand knowledge of the former retired Starbucks President. The Magic Cup is told with a variety of stories to capture the audience, especially those in the business world, but it holds the key to eleven virtues or lessons that apply to everyday life that is important in leadership and daily life. One key ingredient to the eleven lessons is responsibility. Steadfast tells a story to the elevator operator and the lesson behind the story is important, but not as important as the overall message: be engaged, being forward thinkers, take responsibility, act to make things happen wherever you are placed. Don't rely on others, take some responsibility and get some guts! 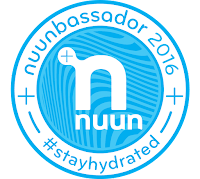 Go for the gusto! Another key to the eleven: Curiosity- I think I can speak for many people who have built successful businesses, leaders, and Fortune 500 companies when I say they have had curious minds and have done the impossible. Be willing to question, stay open minded and be curious about everything because it will lead you down a great road. Steadfast goes on to talk about how cooperation, trust, truth, hope, forgiveness, focus, stewardship, connection, and courage are the final nine elements to help an individual grow in their job, role or organization. All of these elements have a place in your current workplace and have you examined your journey or are you stuck in a rut? What makes you come alive? One of the things I enjoyed most about this book is how the reader explores the eleven lessons of the cup to discover their own personal journey. Has your cup been full, fulfilled or what has been the most impactful for them in their home, life, community, etc.? The Magic Cup teaches great lessons beyond the gift of a cup, but the reflection of one's purpose within their work, company, and personal values. This book will cause deep reflection within your current job, which makes this book worthy of 5/5 stars. It isn't your average business/ leadership book, but what that makes you explore your own journey, which I love. This small book will make you think boldly, move courageously and dare to dream big. Give it a read, you won't regret it! Thank you to the Publishers for providing me a complimentary ARC in exchange for an honest review, which I have given. To purchase your copy, head here! !